Description: Sig Sauer Model P938 Semi-Auto Pistol serial #52B040940, 9mm, 3” barrel with new bore. This new-in-the-box pistol has a nitron finish and it comes with rosewood checkered grips, Siglite night sights. It is single action only and it comes with its original box, manual, lock, holster and a total of three magazines. 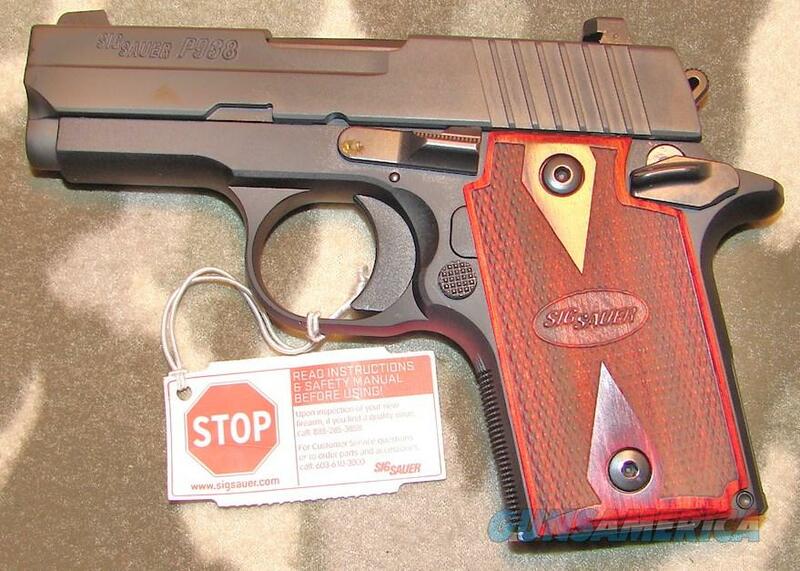 This Sig Sauer model P938 is ideal for concealed carry.